At Justfootball Academy, our focus is on giving our Advanced players that extra training required to take their game to the next level. We understand what representative players receive in their club environment, so we focus our programs on providing development in key areas where it is either absent or not covered thoroughly enough. We scaffold a player's learning process, to create intelligent footballers. Players can master execution through task simplicity, then build through 1v1 practice, and finally complete the transference of information into the game with specifically designed tactical games. What is evident in our Advanced programs, is that it is supported by research and studies. 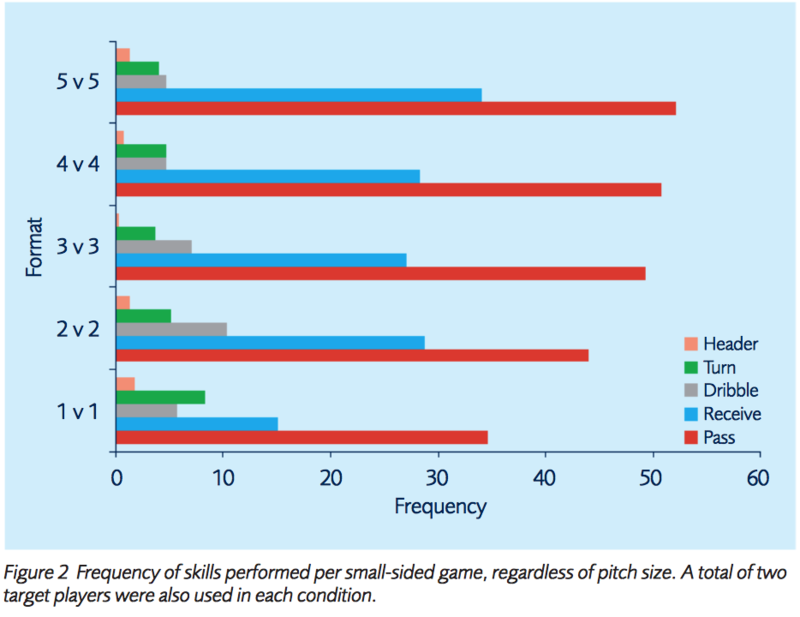 Our training is specific to individual development, and our small group settings provide maximum learning to each player, as shown in Rick Fenoglio’s study on 4v4. Goals are present in every game component at the academy, and most of our tactical games are transition based. This supports the fact that approximately 90% of goals are scored in five passes or less, suggesting moments of broken play close to the goal, as proven in Ronald Smith’s thesis. Our highly qualified coaching staff are experienced in developing technique and individual decision making. They are solely focused on player development, as opposed to playing systems, positions or any team style coaching. With the Advanced group, we focus intently on a player’s technical skills. This is the key period of a player’s development of fine motor skills, and we believe our methods are superior for this age group. We like to concentrate on the fundamental skills and the technical attributes that are used in every instance of a game. - and tactical games that are specifically designed to meet objectives. Player’s will be exposed to some coordination, strength and agility work, tested cognitively and challenged with specific game related exercises. At justfootball academy, a player in the Advanced group will learn to master the ball with all parts of the foot, left and right foot and learn control with all parts of the body, a ball along the ground and also out of the air. Our key focus is entirely on the individual and we look at preparing our sessions to coach our players to manage situations where they have to deal with opponents from all three directions. It is obvious that 4v4 presents the best setting to develop as a footballer. It is also well documented that it is the most relevant to the normal game than any other setting. The graph highlights the importance of having goals and making games as relative as possible. This study was conducted with two wall players at either end, instead of goals. This is a reflective study on SSG’s that are common in most training environments. You will notice that dribbling is considerably lower than passing and receiving, which is a concern in the 1v1 and 2v2 settings especially. AN INVESTIGATION INTO GOAL SCORING PATTERNS IN ASSOCIATION FOOTBALL. This thesis investigates goal scoring in professional association football. There has been a vibrant debate in the research literature about how goals are scored. Researchers have discussed the location of the scorer on the field of play, the number of touches of the ball taken, the type of pass, the number of passes in the sequence preceding each goal, and when in a game goals are scored. There has been a growing interest in identifying the most successful area of the field where the final pass leading to a goal was made and has led to debate about one area in particular, Zone 14. The quantification of the number of passes preceding goals has fueled debate about the tactical success of ‘possession based’ football and ‘Direct Play’. Approximately 90% of goals in association football are scored within 23 yards of the goal and the majority of these with less than five passes. Good attacking players are good in transition, and in high pressure situations. The ability to recognise opportunity when to attack, exploiting overloads, and how to break, are key to becoming effective footballers. It is true that SSG’s are important in build-up play, maintaining possession, and the development of our national football style of play. However, it is important to develop decision making in attack, playing at a high tempo.